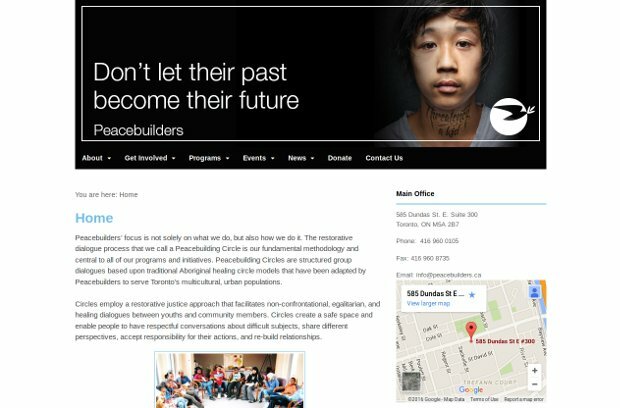 Since 2002, Peacebuilders has sought to establish a restorative approach to preventing and addressing conflict and in helping youth build personal capacity. Our programs have led to partnerships with schools, jails, and various community organizations, as well as the establishment of the very first restorative justice clinic in Toronto. Peacebuilders International originated as the action plan of youths and adults who were conflict resolution trainers and practitioners from Bosnia, Canada, Colombia, Jamaica, Macedonia, Northern Ireland, South Africa and the United States. Their vision was to promote respectful, equal relationships based on positive values despite ethnic, religious, or other differences. They decided to use Talking Circles as their core methodology to include diverse participants and give them an equal voice. Do we need to be tough on crime?